engine of New York state’s innovation economy. The Research Foundation provides the independence and administrative flexibility to respond quickly to the special demands of sponsored programs in a manner that facilitates their scientific or technical execution; these are needs that could not be as easily accommodated through state processes. A more detailed overview is available from the RF. Sponsored program functions delegated to the campuses are conducted under the supervision of foundation operations managers, who are appointed by the foundation’s board on the recommendation of the respective campus presidents. 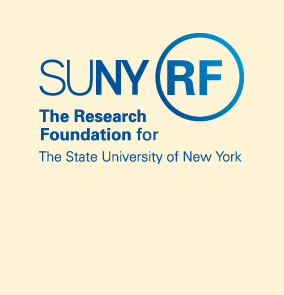 Click here to learn about employment opportunities with the Research Foundation.